A top House Republican is slamming the Senate’s plan to wind down Fannie Mae and Freddie Mac – but the alternative he’s offering has already been opposed by practically every industry group. House Financial Services Committee Jeb Hensarling (R-Texas) today criticized a Senate bill, written by Tim Johnson (D-S.D.) and Mike Crapo (R-Idaho), that would wind down Fannie and Freddie and replace them with a new government mortgage insurer while moving more of the risk onto the shoulders of private capital. “This wealth redistribution scheme, far worse than that of the current system, would be a multi-billion dollar annual invitation to return to the lower credit standards, higher risks, and unsustainable lending that created the crisis in the first place,” Hensarling said. 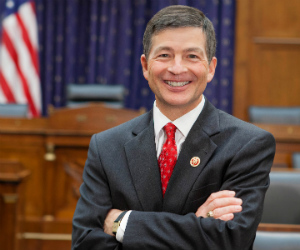 Hensarling supports a House plan, the Protecting American Taxpayers and Homeowners (PATH) Act, which passed the Financial Services Committee in July without a single Democratic vote. That bill would dismantle Fannie and Freddie without providing a replacement, essentially privatizing the mortgage industry entirely. Of course, neither industry groups nor investors seem too keen on any legislation that would wind down Fannie and Freddie, which are regularly posting historic profits. Several industry groups have expressed concerns over whether Johnson-Crapo is even workable. Housing advocates, too, fell the legislation wouldn’t provide the same benefits borrowers see now under Fannie and Freddie.